Halloween is a fun time for kids, especially younger ones. It is a good time for family fun too. 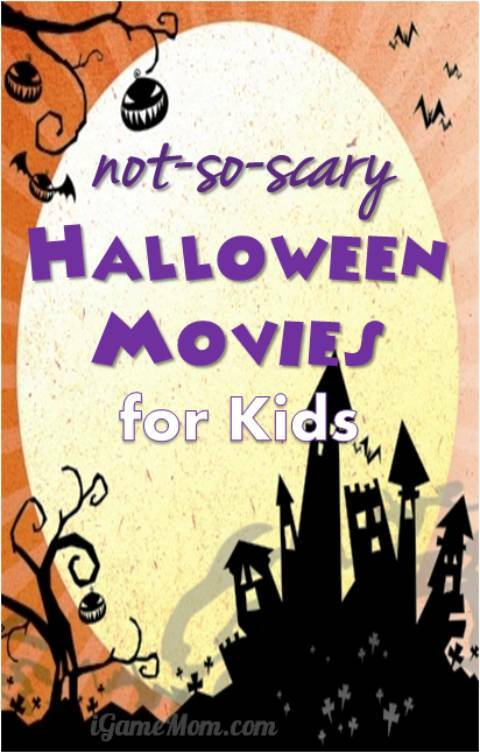 Today we share some Halloween movies for kids that are not so scary, so the whole family can enjoy together. There are many ways for families to enjoy movies at home now. You can download movies instantly from Amazon, Apple iTunes store. We have been using Netflix. If you have never tried Netflix, you can try it for free for a month. It is very convenient to busy families to find movies that the whole family would like to watch. Most movie titles are linked to Amazon for your convenience. We appreciate if you can use our links when you purchase the movies. The cost to you is the same, but iGameMom receives a small percentage from the sales. Thanks for your support. 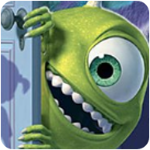 Monsters, Inc: after the movie, kids will realize the monsters are not that scary after all. It’s the Great Pumpkin, Charlie Brown: What is a Halloween without the Great Pumpkin? Spookley the Square Pumpkin: In a world where good pumpkins are round pumpkins, Spookley the Square Pumpkin is often teased by others because of his square shape. Soon Spookley is befriended by Edgar, Allan and Poe, three hilarious spiders who convince him that, square or not, he has a right to be the Pick of the Patch on Halloween. Could a square pumpkin really be the Pick of the Patch? Kids can read the book of the same title before watching the movie, and there is the app that is based on the book too. Pooh’s Heffalump Halloween Movie: Halloween in the Hundred Acre Wood with Pooh Bear and friends, great for preschool kids. Halloween is Grinch Night: if you like How the Grinch Stole Christmas, you will like this Halloween themed prequel, with the same Grinch antics to keep the young kids entertained. A Very Brave Witch and More Great Halloween Stories for Kids: a collection of animated Halloween stories with witches and ghosts, but nothing too scary at all. Barney: Halloween Party: kids learn about Halloween and the fall season. It also covers some safety rules for Trick-O-Treat. Curious George: A Halloween Boo Fest: After hearing about a legendary scarecrow who steals hats, the inquisitive monkey and his friends set out to find him. Room on the Broom: beautifully animated film based on the best-selling children’s picture book written by Julia Donaldson and illustrated by Axel Scheffler. It is a magical tale of friendship and family. Children as young as 3 could enjoy the story. Wallace and Gromit: Curse of the Were-Rabbit: the town’s produce is threatened by the Were-Rabbit, and Wallace and Gromit is on the mission to stop the Were-Rabbit. Hotel Transylvania: One special weekend, Dracula invited all his best friends – Frankenstein and his wife, the Mummy, the Invisible Man, the Werewolf family, and more – to celebrate his beloved daughter Mavis’s 118th birthday. For Dracula catering to all of these legendary monsters is no problem but the party really starts when one ordinary guy stumbles into the hotel and changes everything! Scary Godmother Halloween Spooktakular: little Hannah Marie is excited to be going trick-or-treating with the older kids, but when her rotten cousin Jimmy tries to ditch her in the dark basement of a spooky house, Hannah is rescued by her Scary Godmother and whisked away to the best Halloween party ever! Scary Godmother The Revenge of Jimmy: It is a Halloween Hannah Marie will never forget as Hannah and her friends must foil her cousin Jimmy’s plans to ruin Halloween! The Worst Witch: When students turn into pigs by mistake, everyone points a finger at Mildred – the worst witch in the school… This is a movie for those who love magic tricks, and are too young for Harry Potter. 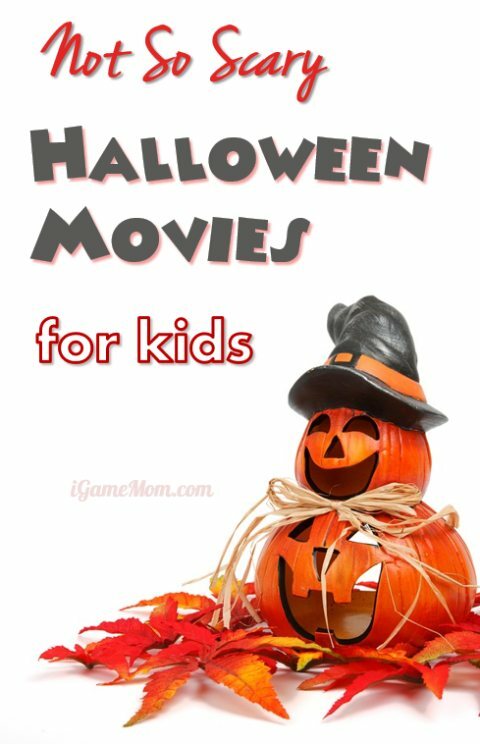 Do you have any recommendation on Not-so-scary Halloween movies for kids? Leave a comment to let us know please. 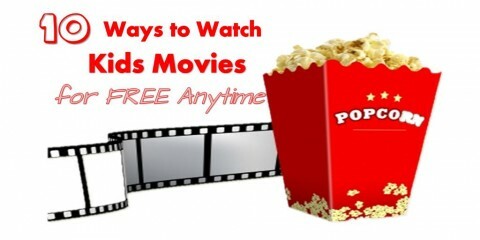 For more educational kids movie ideas, please visit the page Educational Movies for Kids. 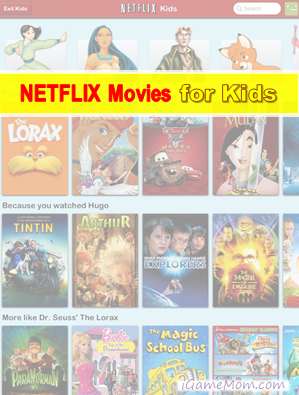 For instructions on how to use the free Netflix app to watch movies on the go, please visit: Netflix movies offer good kids movie selections. Room On A Broom would have to be my favourite! We love and watch these on Youtube: Bunnicula, The Trouble With Miss Switch, Miss Switch to the Rescue, Fat Albert’s Halloween Special, Disney’s The Mystery In Dracula’s Castle, The Secret of Boyne Castle, The Worst Witch, The Adventures of Pete and Pete: Halloweenie, Mr.Magoo Meets Frankenstein, The Halloween That Almost Wasn’t, The Littles’ Halloween, Scary Godmother Halloween Spooktacular, Scary Godmother The Revenge of Jimmy, Vincent Price’s Once Upon A Midnight Scary, The Berenstain Bears Trick or Treat…. Scary Godmother’s Halloween Spooktacular & Scary Godmother: The Return of Jimmy. They are about a little girl who is scared of monsters but she becomes friends with them & they show her they can be nice. They help to scare her mean older cousin Jimmy. Thanks for the recommendation. I will take a look. If a halloween is scary then it is not for kids anymore. Thanks for sharing. I just watched it. Doesn’t seem it is easy to get anymore, I could not find it on Amazon. “Spookly the Square Pumpkin” is really cute and also a great way to start the conversation about how being different can be a great thing! Love the book and the app. It is a wonderful story. Added it to the list. Thanks for the suggestion. Hotel Transylvania was pretty good, and the sequel is coming out soon! Just checked out the movie. It is a good one. Thanks for the suggestion, I just added it. Our family discovered Curious George A Halloween Boofest and have dearly enjoyed it! We love Curious George! Adding it to the list. Thanks for the recommendation. Room On A Broom! It is fantastic! My toddlers as well as my 8 year old loved it! It is a fun one. Will add it. Thanks!